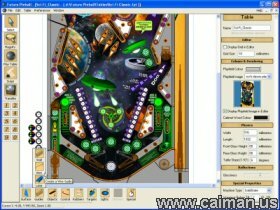 Caiman free games: Future Pinball by Christopher Leathley. The Table logic is scripted in Visual Basic Scripting (via the Microsoft Scripting Technology's built into Microsoft Windows). Scripting is designed to be simple but flexible enough to allow a wide vararity of Original Games to be created. Only a limited subset of the Visual Basic Scripting Language is used as a lot of extra functionality is provided by the game engine. Full Sound / Music Support is also provided with multiple Music Channels to allow cross fading. 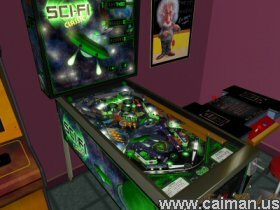 As Future Pinball is a Game Construction Program it contains some advanced concepts which may require a little bit of time (and patience) to learn and fully understand (such as computer graphics and scripting concepts). Hundreds of high quality tables made with Future Pinball .